Does your business need a BOOST from ROOST? 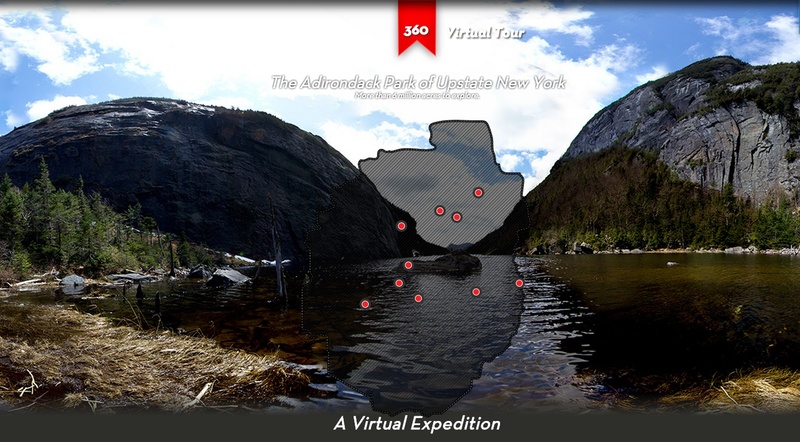 A virtual tour of the Adirondacks to tie all our marketing sites together. The Regional Office of Sustainable Tourism/Lake Placid CVB is a 501c6 not-for-profit corporation. ROOST is the accredited Destination Marketing Organization (DMO) for Lake Placid and Essex County, Franklin County and Hamilton County in New York. ROOST has continuously evolved to stay ahead of the changing destination marketplace. Our Destination Marketing focus is based in traditional advertising, digital marketing, public relations, and by harnessing the power of electronic media. In house staff manage all facets of our tourism marketing initiatives for the 8 website regions served including website production, photography, content development and search engine optimization. Additionally, we service our regions with destination development planning strategies and a hands on approach to foster and promote growth. We provide small business marketing education and assistance out of a main office in Lake Placid, and staff visitors centers in Tupper Lake, Crown Point, Saranac Lake and Malone. Incorporated as the Lake Placid Chamber of Commerce. 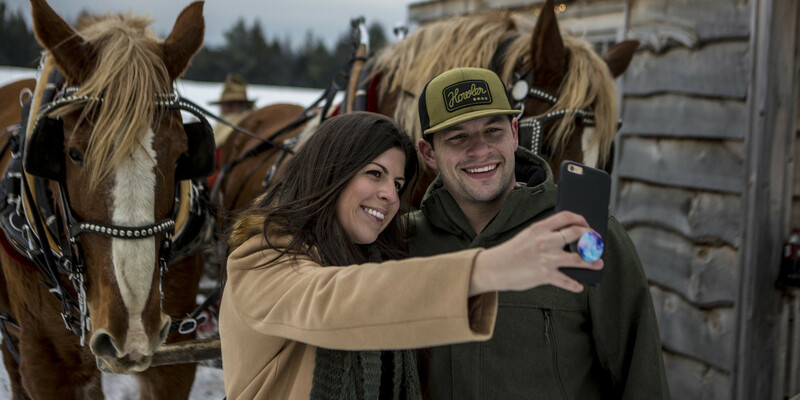 The organization provided traditional business services and tourism promotion for Lake Placid. Organization became the Lake Placid Convention Bureau to promote Lake Placid as a meeting destination. Originally incorporated as the Lake Placid Chamber of Commerce in 1951, the organization has added appropriate “Doing Business As” (d.b.a.) monikers as needed. These changes include a significant move in 1982, when the organization adopted the d.b.a. Lake Placid Convention Bureau, and added an internal department in order to better serve the convention and meetings market. The Lake Placid Chamber of Commerce and Convention Bureau merged to form the Lake Placid Commerce & Visitors Bureau. Until 1991, the organization was responsible for marketing the Lake Placid region exclusively. In 1991, as a cost-savings measure, the Lake Placid Commerce & Visitors Bureau entered into a contract with Essex County to assume the role of Destination Marketing Organization and the responsibility to execute marketing programs on behalf of the entire county. When the organization became the Lake Placid/Essex County Visitors Bureau, it began receiving funding from the County in accordance with its annual contract. That changed in 2000, when an Occupancy Tax was enacted for Essex County through the State of New York, providing funding for destination marketing efforts through a 3 percent tax on overnight rooms, and ultimately eliminating the need for allocated County funding for tourism promotion. The occupancy tax is collected by the lodging properties, and 5 percent is retained at the County for administration, with the remaining collections transferred to the ROOST/LPCVB. As the focus of the organization became destination and conference marketing, the organization entered into a contract with Plattsburgh/North Country Chamber of Commerce in order to offer members traditional business services, including access to health insurance. In 2009, the LPECVB became one of only 101 organizations worldwide to achieve the status of an accredited Destination Marketing Organization through the Destination Marketing Accreditation Program (DMAP). The DMAP is administered by Destination Marketing Association International (DMAI), the world’s largest and most reliable resource for official Destination Marketing Organizations. The accreditation process is a lengthy one that requires a destination marketing organization (DMO) to prove that it meets 54 mandatory industry standards and best practices, ranging from domain names to marketing plans to procedures for group sales. It can also meet 33 voluntary standards. The accreditation serves to assure staff, leadership, and external stakeholders that the organization is following proper practices and performing at an exceptional level for the industry. DMOs accredited under the DMAP are required to follow an organizational code of ethics that include stipulations such as providing exceptional and detailed customer service, exercising truth in promotional materials, and promoting responsible and sustainable use of environmental resources when providing services and products to customers. Other requirements include the development of a strategic plan, insurance, written financial policies, formal training procedures and an independent audit; establishing technology policies, a human resources manual and a data management system; and maintaining a comprehensive website and marketing plan. ROOST earned DMAI accreditation renewal in February 2014.The program is growing, and as of July 2013, there were 172 accredited organizations around the world. ROOST staff will begin the next accreditation renewal process in 2017. In 2010, the LPECVB Board of Directors unveiled the organization’s new name, Regional Office of Sustainable Tourism / Lake Placid CVB (ROOST/LPCVB) which reflects the concept that in order for the region to achieve economic success through tourism, promotion of the existing product must be balanced with sustainable growth. Sustainable tourism, in its purest sense, is an industry which attempts to make a low impact on the environment and local culture, while helping to generate income and employment without overtaxing any resources -whether human, environmental or man-made. The ultimate goal of sustainable tourism is to improve the quality of life for residents. In May 2013, ROOST signed contracts with Franklin County, Town of Harrietstown, Village of Saranac Lake and the Saranac Lake Chamber of Commerce to become the tourism marketing organization for the greater Saranac Lake area. In January, 2014, ROOST entered into a contract with Hamilton County to provide destination marketing services and lead destination master planning efforts. In June, 2014 ROOST entered into a contract with Town of Tupper Lake, Village of Tupper Lake, and Tupper Lake Chamber of Commerce to assume all tourism-related responsibilities and to develop a destination master plan. In March, 2015, ROOST entered into a contract with Franklin County to provide destination marketing services and lead destination master planning efforts.